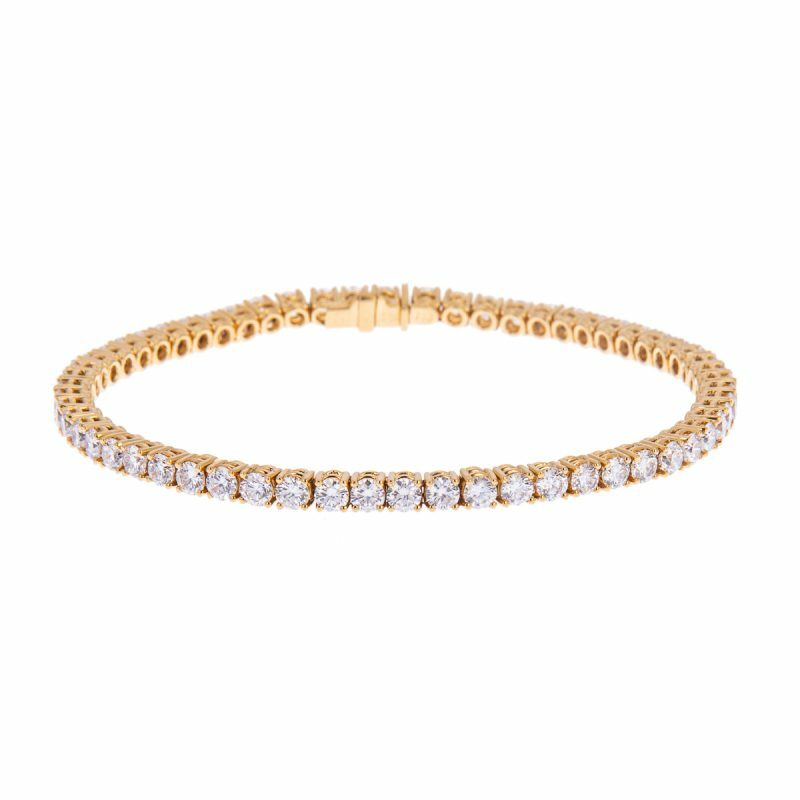 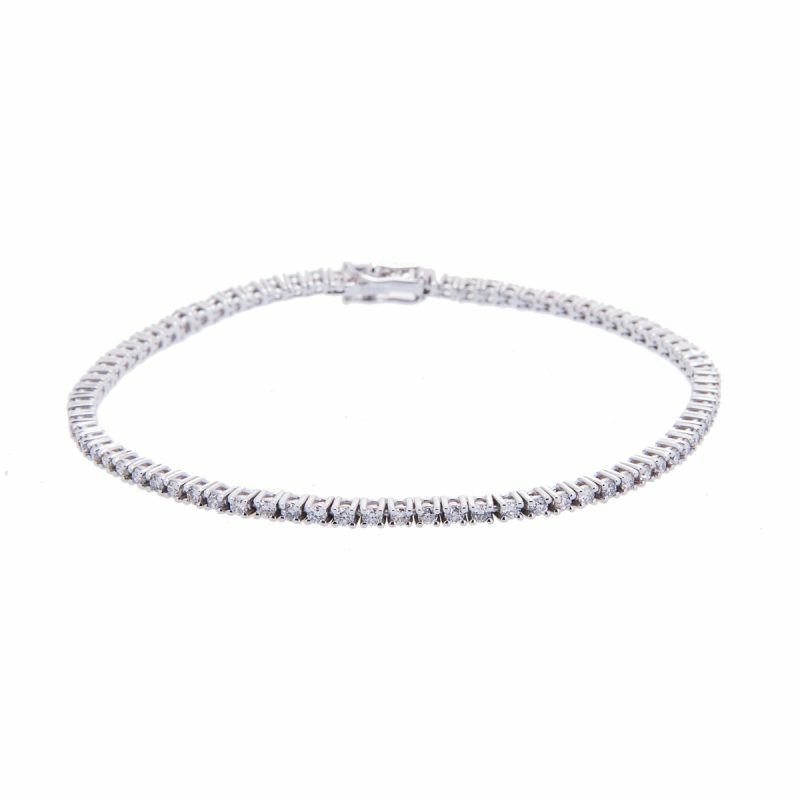 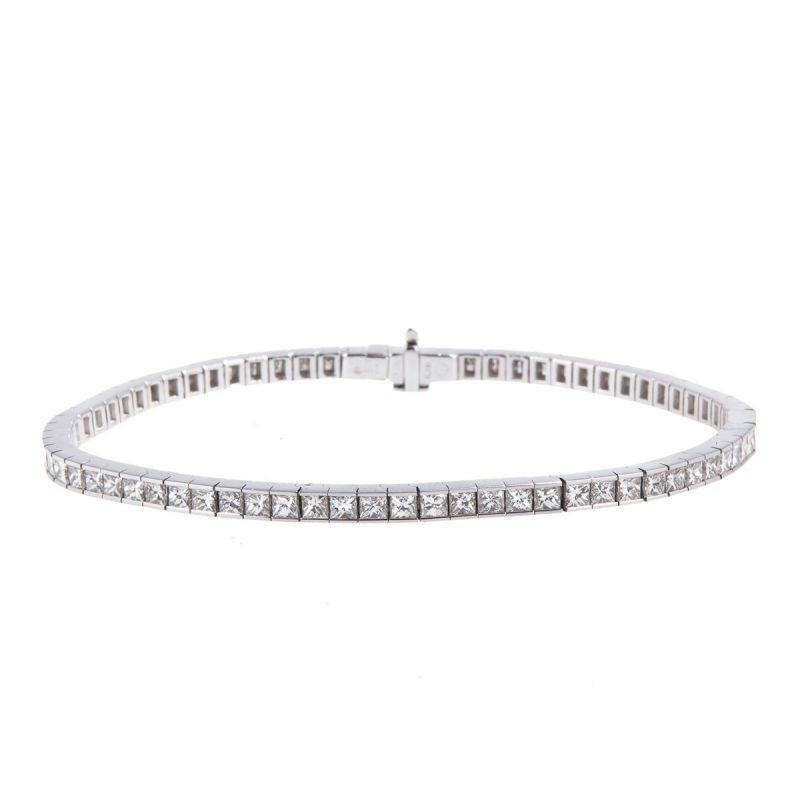 Take your fine jewellery collection to the next level in elegance with this sophisticated F colour diamond line bracelet. 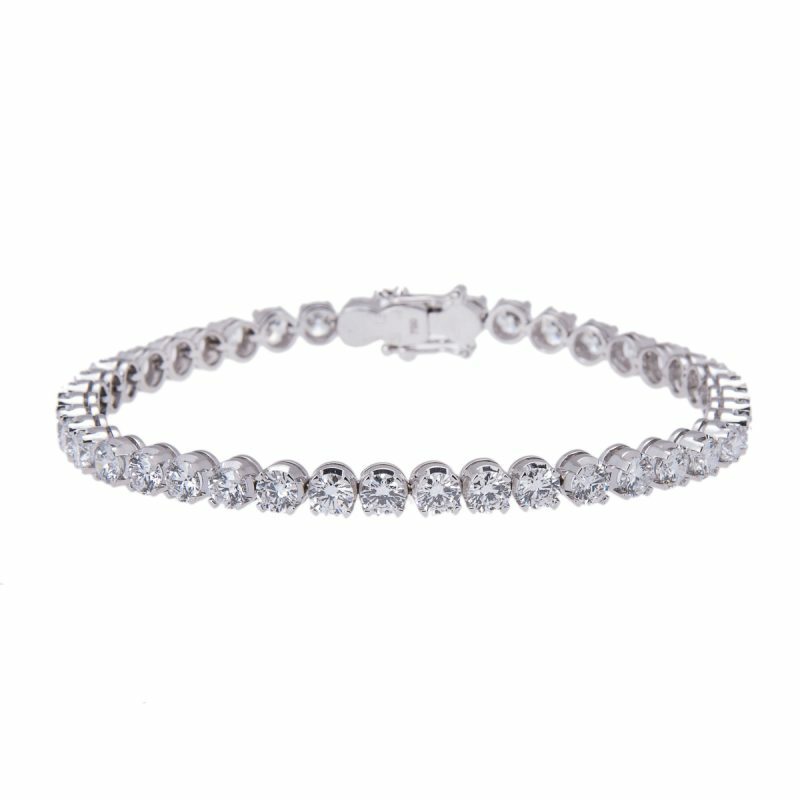 This pretty tennis bracelet features a row of brilliant cut diamonds, each link set in a 4-claw mount. 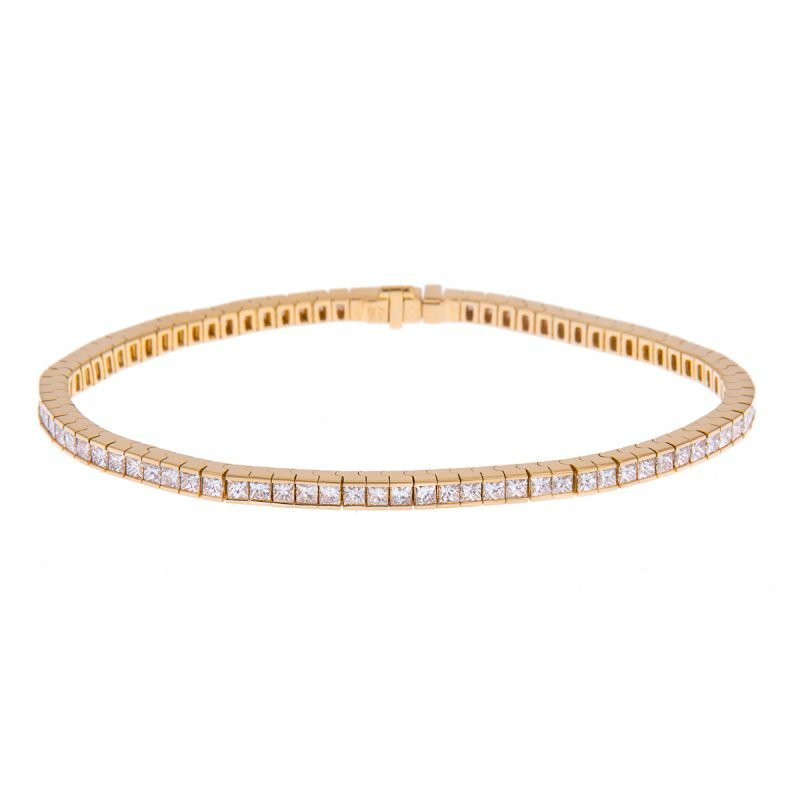 Handcrafted in 18ct yellow gold with a discrete push in snap and safety catches.